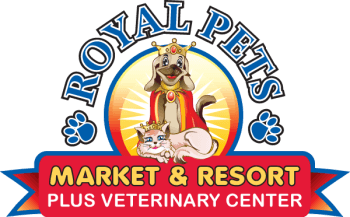 Dr. Bryan McGoldrick is Royal Pet’s Chief Veterinary Officer. A graduate of the University of Illinois 1998, he started his career as a large and small animal veterinarian in Wisconsin where he practiced for 5 years before calling Florida his home. Since 2003, he has owned and operated an AAHA (American Animal Hospital Association) accredited veterinary practice in Palm Harbor, Florida. He is a member of the AVMA, FVMA, and AAHA, and enjoys reaching out to the local community by volunteering his time at local schools and community events. Dr. Bryan and his lovely wife, Kris, have three great kids, a Chocolate Lab named, Sam, and three awesome, but mischievous cats named Alex, Pumpkin, and Oliver. Dr. Nobuki Stobaeus, originally from Brunswick, GA, earned his Bachelor of Science degree in Animal Science from Berry College in 2007. He then received his Doctor of Veterinary Medicine degree from Tuskegee University School of Veterinary Medicine in 2012. His professional interests include small animal dermatology and surgery. Dr. Colón was born and raised in Newark, New Jersey, and attended Montclair State University where she received her Bachelor's degree in Biology. After graduation, she lived in San Diego for three years before moving to Charlottetown, Prince Edward Island, Canada to be part of the Atlantic Veterinary College class of 2015. Prior to veterinary school, Dr. Colón worked as a veterinary technician for seven years at both general and emergency hospitals. Her veterinary interests include preventive care and internal medicine. Dr. Colón now resides in Tampa with her fiancé Enrique and two lab mix female dogs, "Jersey Girl" and "Bella". In her free time, she enjoys visiting family in Orlando and taking trips to the beach or park with her dogs. Dr. Danielle Gallo was born and raised in Miami, Florida before she went to Ross University in St. Kitts for vet school. She finished her clinical year in Texas A&M and graduated in 2009. She met her husband in school and then went to practice in Northeast Ohio for six years. They fell in love with St. Pete after visiting family and decided to move their own family down. Dr. Gallo and her husband have two human children, a coconut retriever from St. Kitts “Merrick”, a black lab “Orion”, a cat also from St. Kitts “Sambuca”, and a cockatiel “Poe the Crow”. Dr. Gallo’s professional interests are surgery and internal medicine and personal interest are surfing, paddle boarding, and painting.